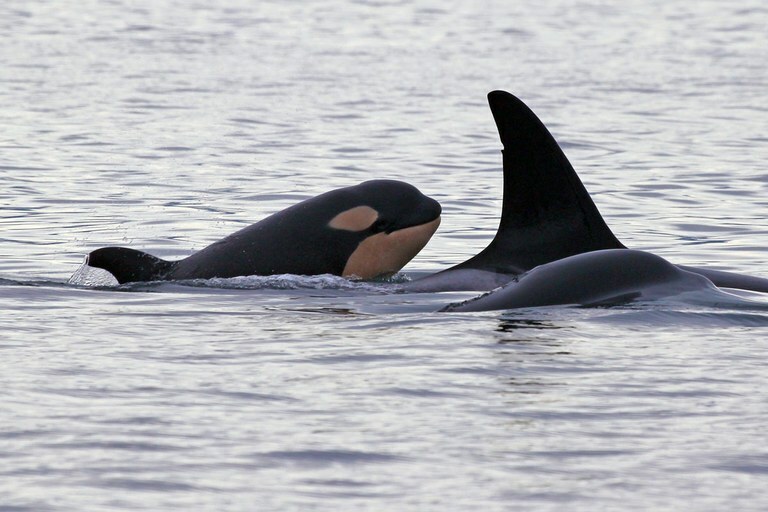 31-year-old L77 seen with her newborn calf, L124, near Seattle on Jan. 11. Washington’s Puget Sound hosts three pods of southern resident orcas, and half a million people come to view them each year. Their population has declined over the past two decades; in 2005, they were listed as endangered. Biologists cite a lack of salmon, their main food source, as the main culprit, but whale-watching boats contribute by stressing the whales (“Are whale watchers taking a toll on Puget Sound’s orcas?” HCN, 4/17/13).